We have put together some quick juicing tips for using your Kuvings cold pressed slow juicer. The B6000 model has been designed for domestic use. Classified the Whole Slow Juicer, because it juices whole fruit, producing a high quality nutritious juice. Less oxidation compared to any other cold press juicer on the market. 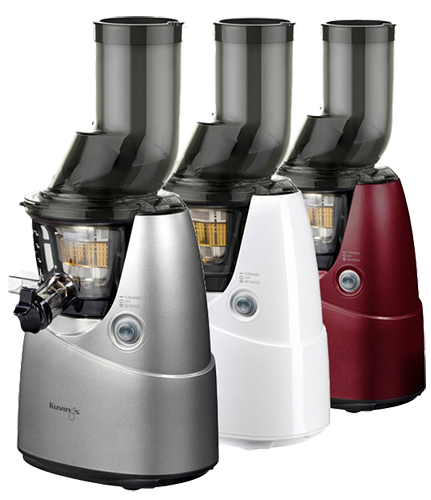 The Kuvings B6000 juices all fruit and vegetables very well, whether they are hard vegetables like carrots and beetroot or soft like pineapple and greenie leaves like kale, celery, parsley and other herbs like ginger and turmeric. The B6000 model has been recommended by choice twice now in 2014 and 2016 for its ease to use, quietness, nutrition value and ease to clean. Suitable for the general family who wish to juice a few times a week for good health. Juices at 54 RPM with a 248 watt motor with a domestic warranty of 20 years on the motor and 5 years on the parts. Available in 3 colours, Silver, Burgundy and White. The C7000 model has been designed for professional use, suitable for the health conscious person planning on juice fasting and healing their body quickly. Providing high nutrition at 50 RPM with less fibre in the juice for a smooth fine quality juice. Small cafes and restaurants will also find this model suitable. Designed and upgraded with parts from the Kuvings CS600 Commercial model the C7000 model is classified professional for this reason. Available in 5 colours, Black, White, Silver, Burgundy and Gold. Choice Recommended in 2016. 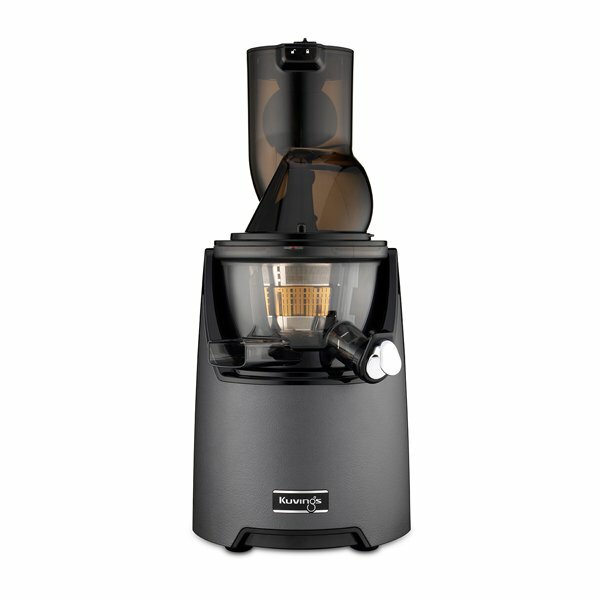 The CS600 Chef model is a commercial designed cold press juicer designed especially for your business in mind. Suitable for any Café, Restaurant, Juice Bar or Chef the CS600 is an on demand solution for cold press juicing continuously up to 24 hours. Whether you are juicing on demand or bottling, the CS600 will service you efficiently. Advantages include a wide mouth for whole apples and oranges, able to juice at 40 to 50 litres per hour depending on what you are juicing and providing a high nutritious fine quality juice that tastes delicious. Kuvings prides themselves on their excellent customer service and warranty of 5 years on the motor and 12 months on the parts.